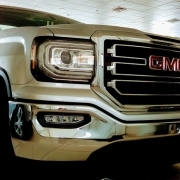 Mexico in 2018 accounted for more than a quarter of General Motors’ estimated North American production for the first time, a proportion that will rise further if the company follows through with plans to end production at five plants in the U.S. and Canada this year. GM is now Mexico’s largest auto producer, topping Nissan Motor Co. in a year when it reduced output by an estimated 5 percent in the U.S. and an estimated 33 percent in Canada, according to the Automotive News Data Center. GM built 834,414 vehicles in Mexico last year, an increase of 3.6 percent, vs. a 10 percent decrease to an estimated 763,257 for Nissan, which had been No. 1. GM’s higher Mexican output at a time when it’s eliminating jobs in the U.S. has angered President Donald Trump and other politicians as well as union officials set to negotiate a new contract with the automaker this fall. Overall production in Mexico fell by 1 percent in 2018. That’s the first time Mexico production has declined since automakers began opening a flurry of plants south of the U.S. border to take advantage of lower costs from nonunion labor and favorable trade agreements with overseas markets. But production in Mexico is expected to remain stable in the coming years, particularly now that the U.S., Canada and Mexico have agreed in principle to a renegotiated free-trade agreement, said Eric Anderson, a senior analyst with IHS Markit. Total North American production declined for a second consecutive year. Production was down an estimated 2.6 percent overall, including an estimated 2 percent in the U.S. and an estimated 8.8 percent in Canada. Just three automakers built more vehicles in the U.S. in 2018: Tesla, up 151 percent; Volkswagen Group, up an estimated 22 percent; and Honda Motor Co., up 2.7 percent. Ford remained the largest U.S. producer, building nearly 2.4 million vehicles domestically vs. about 2.1 million for GM. In Mexico, Toyota Motor Corp. built 49 percent more Tacoma pickups in Tijuana, and Hyundai-Kia made 33 percent more small cars in Nuevo Leon. Besides those two and GM, the only other automaker to raise output in Mexico was Fiat Chrysler Automobiles — by 369 vehicles. Honda and Ford joined Nissan with double-digit cutbacks. A GM spokesman said the company hasn’t added any capacity in Mexico for a decade and has no plans to do so. Its 2018 gain there stemmed from falling demand for GM’s U.S.-made cars and surging popularity of crossovers such as the Mexico-made GMC Terrain and the Chevrolet Equinox, which is built in both Mexico and Canada. Production of the Equinox and Terrain in Mexico nearly doubled from 2017, but GM built 11 percent fewer pickups and 74 percent fewer cars in Mexico last year.Mexico represented an estimated 30.8 percent of GM’s 2018 light-truck production and an estimated 25.7 percent of its total output in North America. Ford got 9.7 percent of its North American supply from Mexico but doesn’t build any pickups, SUVs or crossovers there. GM is poised for another Mexico production increase in 2019 with the addition of the Chevy Blazer, which started coming off the Equinox line at its Ramos Arizpe plant in November. The decision to make the Blazer in Mexico — reached, company officials say, when sedan sales were higher and GM had less U.S. capacity to spare — has been a particularly sore spot for the UAW, which learned of it on the day GM reduced its Chevy Cruze plant in Lordstown, Ohio, to one daily shift. GM says it will end production in Lordstown after March 1, followed later in the year by assembly plants in Detroit and Oshawa, Ontario, and propulsion plants in Michigan and Maryland. Unifor, the Canadian union that represents Oshawa workers, last week blocked access to the headquarters of GM Canada in protest of the potential plant closure. “GM now top producer in Mexico as industry output declines” was originally published at Automotive News on 1/29/19. MEXICO CITY, Jan. 23 (Xinhua) — With a growing number of international tourists, Mexico’s aeronautics industry is poised for record growth, experts say. Relatively a “young” industry in Mexico, the aeronautics industry has seen a sustained annual export growth of about 15 percent since records began in 2004, when exports brought in 1 billion U.S. dollars, according to the Mexican Aerospace Industry Federation (FEMIA). The export revenue of the sector, which employs some 60,000 people, amounted to about 8.5 billion dollars in 2018, while in 2017, the figure was 7.6 billion dollars with 50,000 employees, attesting to the dynamic growth of the industry, said FEMIA’s Director General Luis Lizcano. “In less than a decade, Mexico has succeeded in consolidating a competitive structure in this sector… Mexico now ranks the world’s 12th in exports and the exports will continue to grow in every area of an airplane, from the interiors to structures, landing gear, turbines, design and maintenance,” said Lizcano. 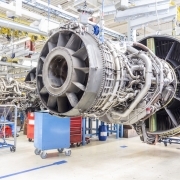 Mexico is home to more than 300 industrial plants operated by about 100 domestic and overseas aeronautics companies, most concentrated in its northern states. And as much as 80 percent of its aeronautic products goes to the United States. “The industry proved to be much more resistant to global ups and downs, and is more stable in economic and financial aspects” than other industries, said FEMIA’s President Felipe de Jesus Sandoval. “There is an immense, impressive opportunity for the aeronautics industry to develop its capacity as the automotive industry has successfully done,” Sandoval said, adding that the aeronautics industry only takes up 5 percent of the manufacturing chain, compared with 65 percent for the automotive industry. Daniel Parfait, president of the Mexican branch of Safran, a French multinational aircraft engine maker, said his company is allotting more investment each year to expand capacity, given the solid demand for products. “The outlook is absolutely excellent,” he said. “We haven’t felt any impact from the trade negotiations between Mexico and its partners, and I think it will stay that way,” he added, referring to last year’s renegotiation of the North American Free Trade Agreement (NAFTA), now called the United States-Mexico-Canada Agreement (USMCA). Safran operates 20 facilities in Mexico and now employs 13,000 people, up from 4,000 in 2012. The company’s global sales grew 26 percent last year, a percentage that also applies to Mexico, said Parfait. “The aviation industry is going to double. There is a lot of growth in terms of the number of passengers and production is going to increase,” said Edward Tobon, regional director for Boeing Latin America. “The biggest supplier for us is Mexico, and in terms of aviation growth, Brazil is also important, but the region is good in general,” he added. In Mexico, Boeing acquires around 1 trillion aircraft parts each year. The demand from Latin America for Boeing airplanes stand at 1,500, a figure Tobon expects to double over the next 15-20 years. Latin America expects an annual growth of 3.6 percent in tourism flow to reach 731 million by 2037, up by 371 million from the current figure.